The reinvention of BlackBerry as a company and a brand seemed destined to rest on the shoulders of an all-touch smartphone. Not only is the industry moving towards bigger, faster devices, but the need for that “good ol’ boy,” the hardware QWERTY, seems to be waning. 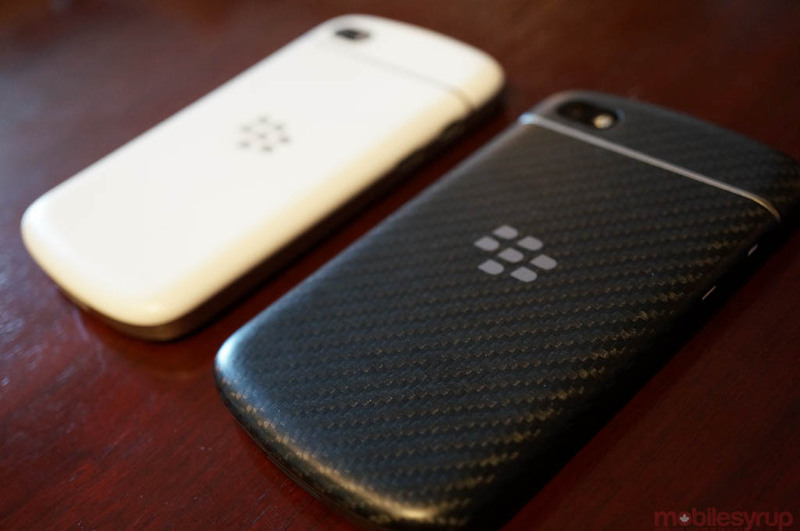 But here we have the BlackBerry Q10, a device meant either to capitalize on the latent demand for smartphones with hardware keyboards or, perhaps more accurately, recreating it. Built with premium materials and boasting by far the best tactile typing experience ever seen on a smartphone, does BlackBerry 10 translate well to the square screen? And more importantly, is it worth the premium price tag? 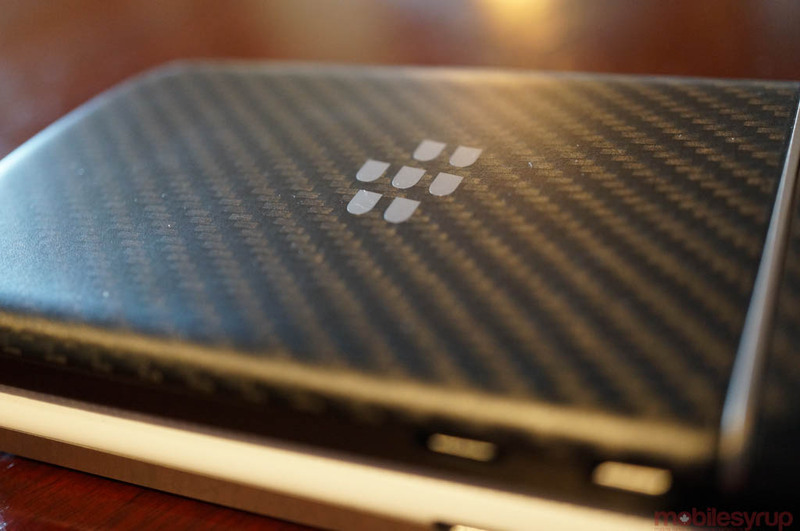 There’s no denying it: the BlackBerry Q10 is a stunning piece of industrial design. Milled from a single piece of stainless steel, the phone has a heft and solidness that belies its compact frame. 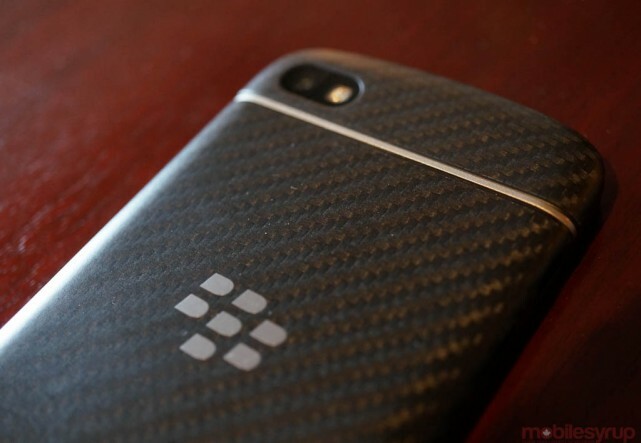 Its removable back cover is constructed from woven glass and covered with an oleophobic resin to repel fingerprints. The 720×720 pixel display is sharp and colour-accurate, with excellent viewing angles and precise touch responsiveness. And that keyboard. Wow. It’s simply the best hardware keyboard ever designed, each key some 15% bigger than that of the Bold 9900, its tactile feedback a perfect balance of rigidity and comfort. 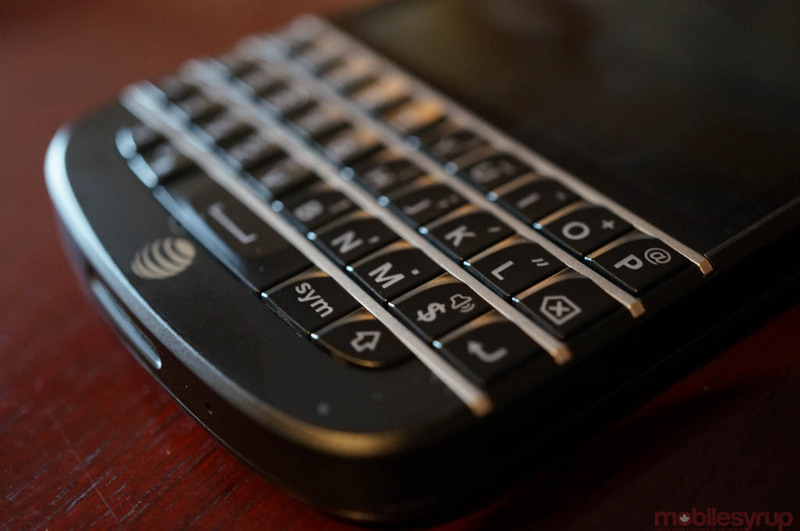 Despite being larger than the Bold 9900, a lot has changed in the market since its 2011 introduction and the Q10 feels small — undersized even — compared to the majority of today’s fare. Its screen especially feels cramped, and the 1:1 ratio is awkward when browsing or playing games. But the operating system, with its touch- and gesture-based navigation, has been successfully retooled for the phone’s resolution and orientation, and most third-party apps are in the process of being converted. Not only has the smartphone industry changed since the Bold was king, but virtual keyboards have become far more accurate and intelligent. We don’t live in a world where the iPhone keyboard is king any longer; upstarts like Windows Phone, Android’s SwiftKey, and even BlackBerry’s own virtual keyboard, facilitate typing speeds close to that of a hardware keyboard. 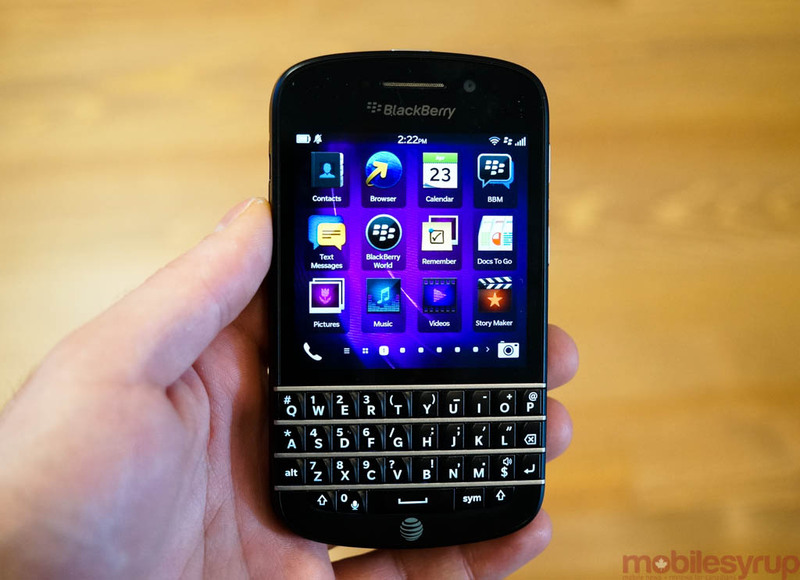 But nothing, not even the most highly-tuned autocorrect keyboard, nears the satisfaction of typing on a BlackBerry Q10. Because the keyboard is BlackBerry’s widest, it cuts down on the fatigue usually associated with narrow and precise transitions between keys. While this tension usually dissipates over time as one gets used to typing on a hardware keyboard (or, if you currently use one, it lessened a while ago), the BlackBerry Q10 feels somewhat like a landscape keyboard in a portrait phone body. It’s pretty remarkable. Acknowledging that this phone will not be for everyone, BlackBerry Q10 is being marketed mainly to the business folk and communication fiends, the ones who need to dash off that email in between mouthfuls. I hang out with enough people like that to know the market is still there, and I see enough dissatisfied Bold 9700/9900 owners to know that the Q10 will solve most, if not all, of their current software qualms. BlackBerry is clearly fine with the Q10 cannibalizing some of its initial Z10 sales, as when the two phones were announced the company knew there would be a subset of users waiting for the QWERTY version. The long game, therefore, is to offer the BlackBerry 10 experience across multiple screen sizes and form factors. 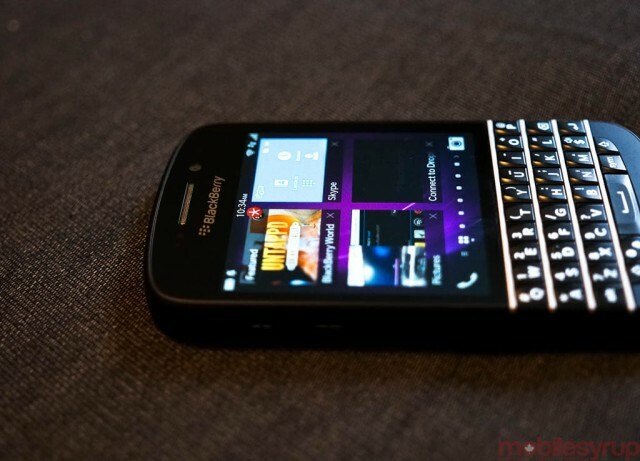 The remaining question is whether BlackBerry 10, four months after launch, is yet good enough. BlackBerry 10 is a very different beast than its predecessor; think of it as the slick JJ Abrams Star Trek remake to BlackBerry 7’s Star Trek: The Motion Picture. It retains much of the charm of the original — a messaging and communications tool — without the dated special effects and stilted dialogue. 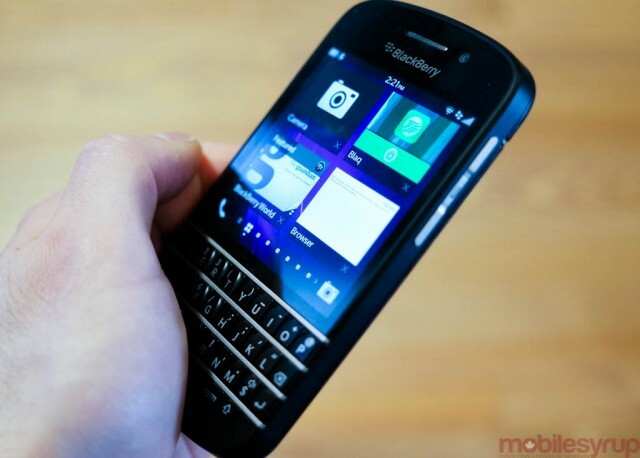 The Q10 comes preloaded with an updated version of the operating system, BlackBerry 10.1, which improves performance, battery life and camera quality over the initial release while adding a few requested features like PIN messaging, additional security profiles for enterprise customers, and custom message notifications. Its colour scheme is also black whenever possible, taking advantage of the Super AMOLED’s battery-sipping proclivities when paired with darker backgrounds. BlackBerry 10’s workflow, with its always-accessible Hub and gesture-based navigation, still feels fresh and useful, but there are some glaring omissions, like the inability to quickly navigate between emails, that wear on the day-to-day experience. The Hub, too, lacks integration with third-party apps months after it was initially promised, relegating WhatsApp and its ilk to the general “Notifications” panel. 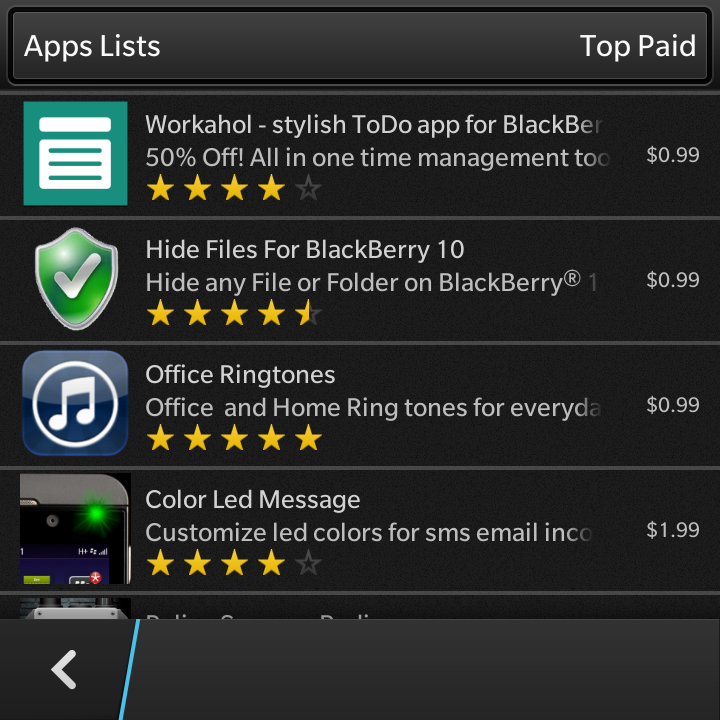 Android apps, too — even those properly ported and distributed through BlackBerry World — feel tacked on to the Hub. 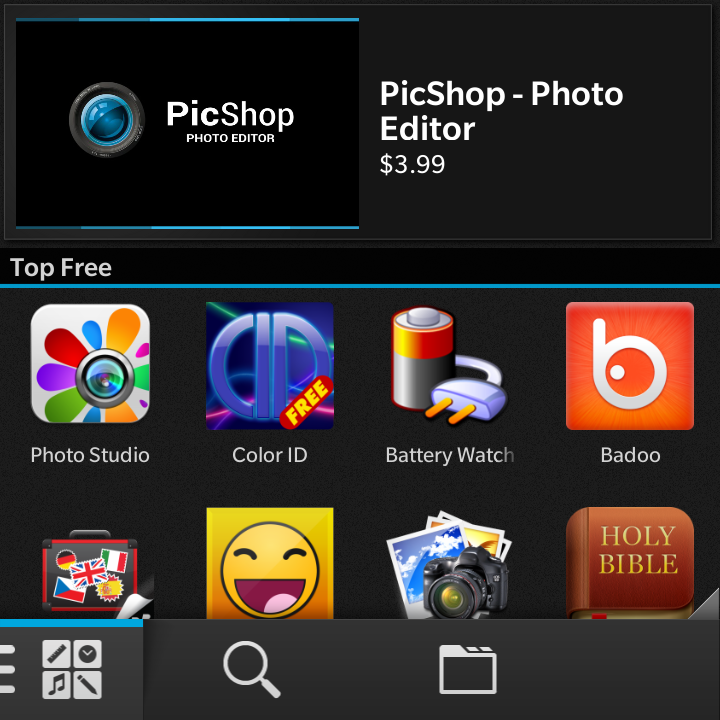 Most first-party apps, like BBM and the Browser, have been updated to work with the Q10’s 1:1 aspect ratio and for the most part everything looks fine. The browser, like it did on previous BB7 models, feels cramped when traversing desktop versions of websites but, unlike two years ago, most sites have competent and responsive mobile alternatives. There’s also Reader Mode which, on the Q10, feels more a necessity than a convenience; it parses desktop sites and renders them in large, customizable text sizes. Still, the 3.1-inch screen is better suited for long-form writing than reading. On a base level, the BB10 browser is up there with Mobile Safari and Chrome for Android in terms of standards compliance, speed and stability, and unlike Windows Phone 8’s Internet Explorer, its WebKit roots mean most HTML5-based sites load as they should. I refer you to Forte.fm as an example of brilliant HTML5 implementation. 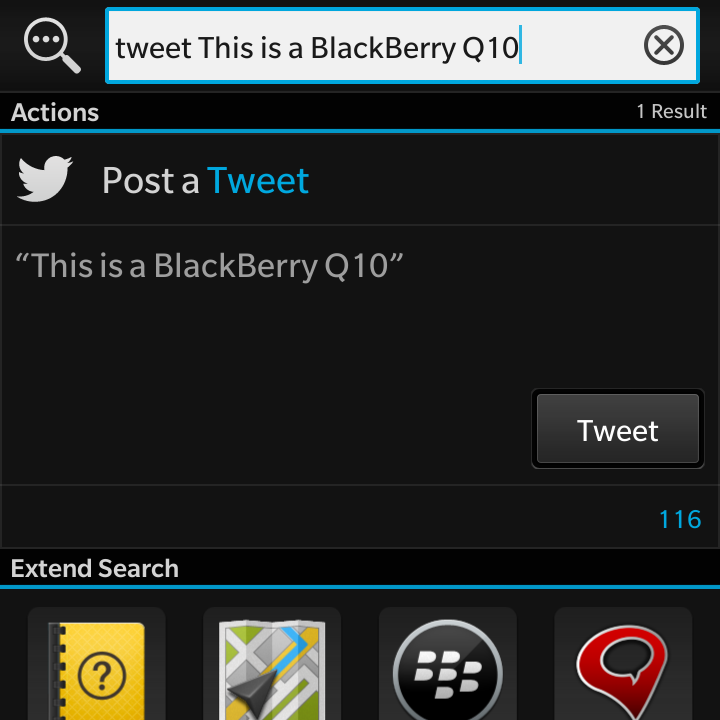 One of the most productive use case extensions of the physical keyboard is something called Quick Actions, which extends the universal search feature of previous BlackBerry operating systems and adds command shortcuts like Tweets, BBMs and more. So too do many of the old keyboard shortcuts — “C” for compose, “T” to skip to the top of a list — still apply here, though it’s up to developers to implement them in third-party apps. As expected, the messaging features are still what keeps me reaching for this phone again and again. It’s still more satisfying to type on a physical keyboard than any virtual one, even years after abandoning the form factor. But the keyboard itself isn’t enough to make up for the fact that most third-party apps, and even some developed by BlackBerry itself, feel unfinished and unpolished. At the time of writing, Z10 mainstays like WhatsApp and Google Talk are not yet available, and too many big name apps like Kindle, Songza and Skype, are Android ports. But it’s apps like Facebook, Twitter, LinkedIn and Foursquare, all pre-installed on the phone, that either lack some features of their Android and iOS peers, or have show-stopping bugs. 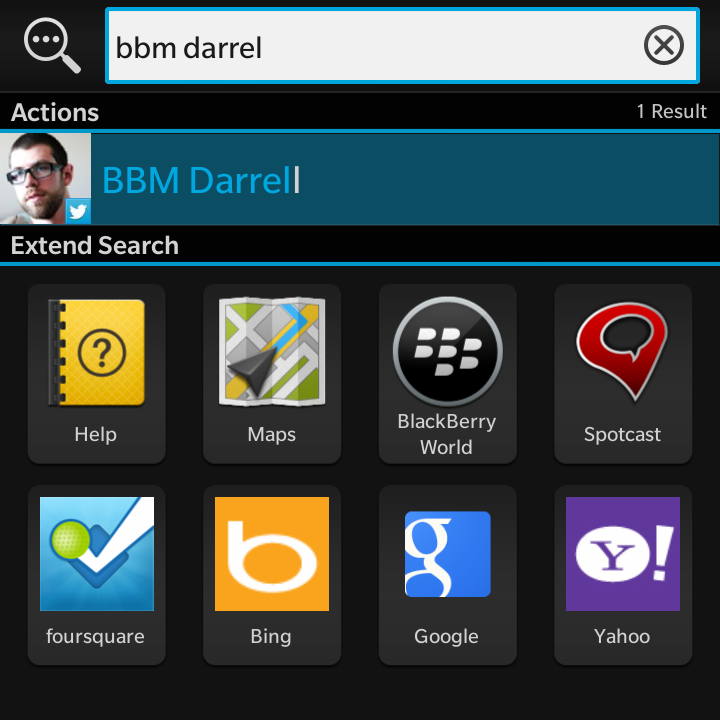 We’ll start with notifications, one of the primary purposes for using a BlackBerry device. Once set up, emails come through instantly, whether from Gmail, an Exchange Activesync address or a general account with IMAP IDLE support. But considering BlackBerry puts so much emphasis on Hub social networking integration, actual performance is vexingly inconsistent. Twitter mentions and DMs occasionally get pushed at the same time as iOS or Android, but more often than not they take 10 or 15 minutes. Facebook alerts usually come through instantly, but private messages? Forget it. They seem to run on a Fetch schedule, with a delay of between 15 and 30 minutes. It undermines the very immediacy that makes the Q10, and BlackBerry 10, so attractive. BlackBerry 10 is clearly still a work in progress, and the company has made some substantive improvements to battery life, app loading time and camera quality since the Z10 was launched in early February. Version 10.1 also introduces custom message notifications — you can now set the number of vibrations received for a specific app or email account — and a few other nips and tucks to make things run smoother. Improvements have also been made to the on-screen text selection; the cursor can now be manipulated with more precision by tapping on either side of the selection bubble. In terms of app selection, things are better than they were in February, but not much; a number of high-profile games have been released by Rovio, Gameloft, Halfbrick and more, but they’re all games that have been available on Android and iOS for months. There is still a dearth of native apps (meaning those not merely ported from Android), but the quality of those apps is steadily improving. The native Twitter and Facebook apps have been substantially beefed up since launch (previous notification problems aside) and companies like WhatsApp, New York Times, Wall Street Journal, USA Today, CBC, Kayak and Accuweather have built respectable, consummately-designed software. Blaq, a Twitter app designed by longtime BlackBerry developer Kisai Labs, is really the only well-designed native app I’ve used to date, but it bodes well for the future of the platform. On the enterprise side, BlackBerry 10.1 introduces several new security and VPN profiles for BES and BYOD users, and the form factor is inevitably going to attract the suit-wearing masses. BlackBerry Balance endeavours to find compromise between these this type of user’s lifestyle, but in practice the lack of third-party apps may relegate the Q10 to a secondary work phone, while the Android or iPhone will continue to be used for Instagram, Flipboard, Instapaper and more. At least the Q10 has Angry Birds. The BlackBerry Q10 has a removable 2100mAh battery that, combined with the various software tweaks found in BlackBerry 10.1, should last all day with moderate to heavy use. At least that’s what I encountered when testing the device over the course of a week on TELUS’ LTE network. Indeed, turning off LTE will net a few extra hours of battery life and unlike the iPhone and latest Android flagships, the Q10 seems to get by nicely when connected to an HSPA+ network. Since data is no longer compressed through BlackBerry’s BIS servers the way they were on BB7, the larger pipe does come in handy when loading larger websites or downloading games hundreds of megabytes in size, but LTE seems less essential to enjoyment of the phone the way it does on other platforms. The Q10 has a fantastic speaker that will put it in good stead for conference calls; its bottom placement means the sound is not muffled when placed on a table. The headpiece also puts out exceptional quality audio, and since the phone is HD Voice-enabled, recipients should sound clearer when paired with a compatible device and network. 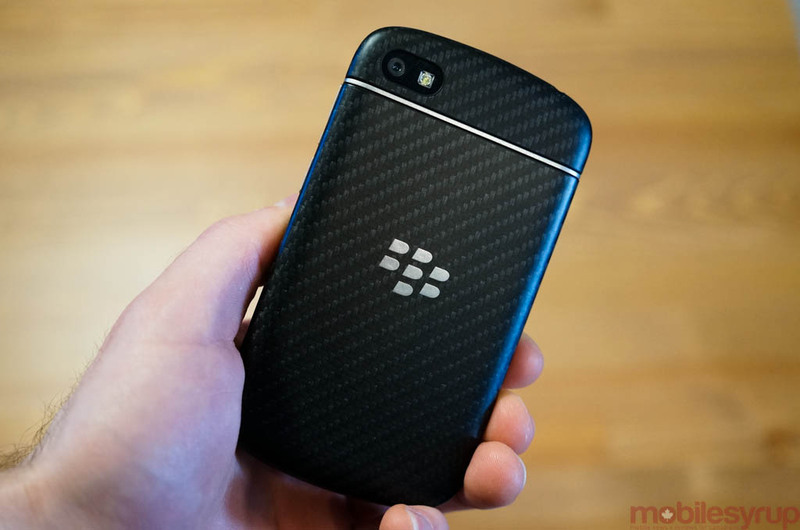 The Rogers version of the BlackBerry Q10 is optimized for the carrier’s 2600Mhz LTE network which, like the LG Optimus G and upcoming Samsung Galaxy S4, has a faster theoretical speed in many locations but poorer signal penetration. Bell and TELUS are offering the device on their AWS LTE network, while WIND and Mobilicity will support it over AWS 3G. I found signal quality to be rock solid across all networks I tested it on, with nary a dropped call or signal fluctuation. As with all recent BlackBerry devices, the Q10 supports NFC and Bluetooth 4.0, making it perfect for the inevitable onslaught of disparate mobile payment options emerging in Canada. I found it relatively easy to pair with my NFC-enabled Bluetooth speaker, and sound quality was, as expected, quite good. The 8MP camera on the BlackBerry Q10 is identical to its bigger brother, but the company has made a lot of quality and speed tweaks since the Z10 was released. Most notably, the Q10 (well, BlackBerry 10.1) supports HDR photos, which combines several photos of differing exposures to form a single capture with improved dynamic range. Unlike when I first tested the Z10, I was quite impressed with the capture quality of the Q10, both in terms of still photos and 1080p video. By default the Q10 takes photos in an awkward 1:1 ratio, the same square orientation made famous by Instagram which, ironically, is not available on BlackBerry 10. Since the camera sensor is actually 4:3, I’d urge you to make the change as soon as you enter the app. 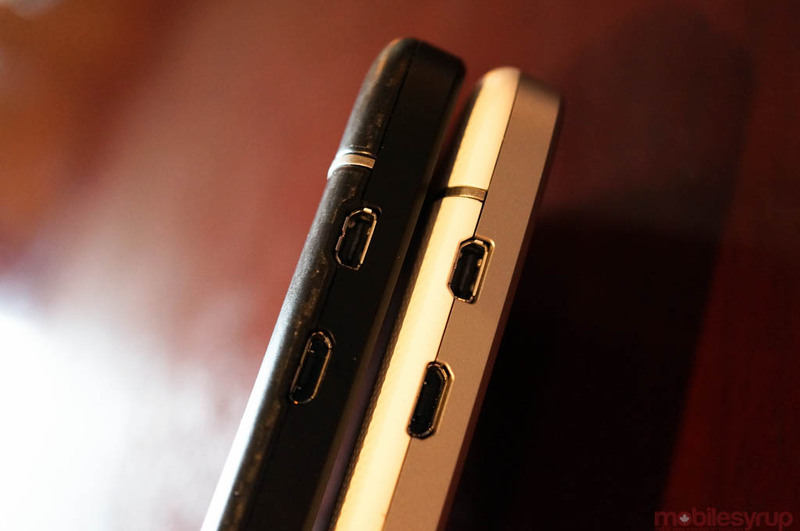 The Q10 can pull off some impressive photos, including some enviable macro shots that would make HTC One users jealous. Photos still lack the punch of the Galaxy S4 or iPhone 5, and even with the software improvements to low-light performance, the phone doesn’t compete with the best out there, but this is certainly the best camera to grace a BlackBerry to date. It’s also likely the best camera you’ll find on a phone this size. Even more impressive is the speed at which the phone takes photos; regular shots are practically instantaneous, while HDR photos take just under a second to process. 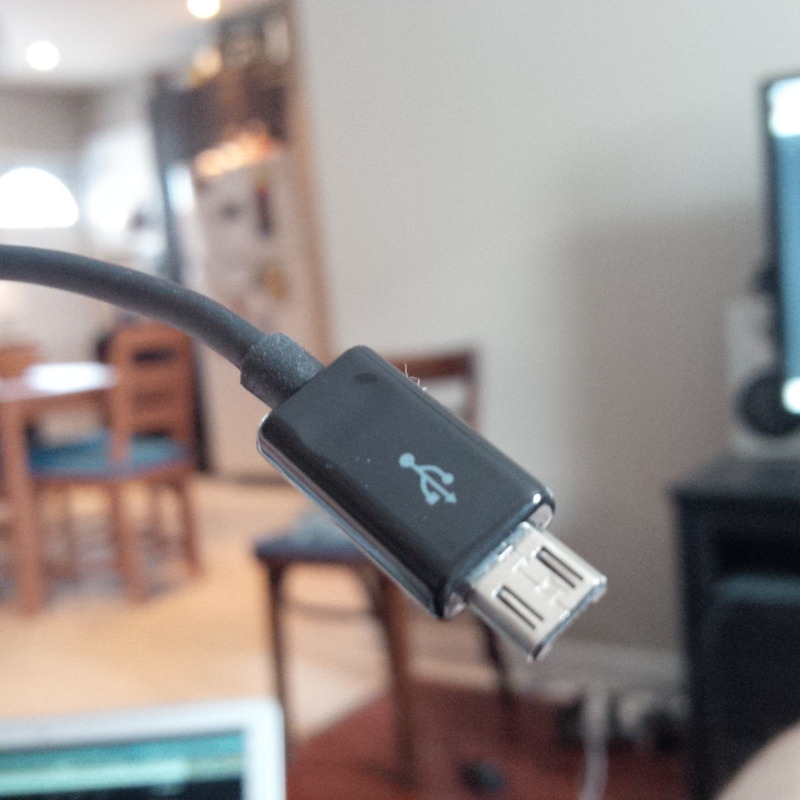 The front-facing camera, useful for Skype or BBM Video calls, is excellent, too. 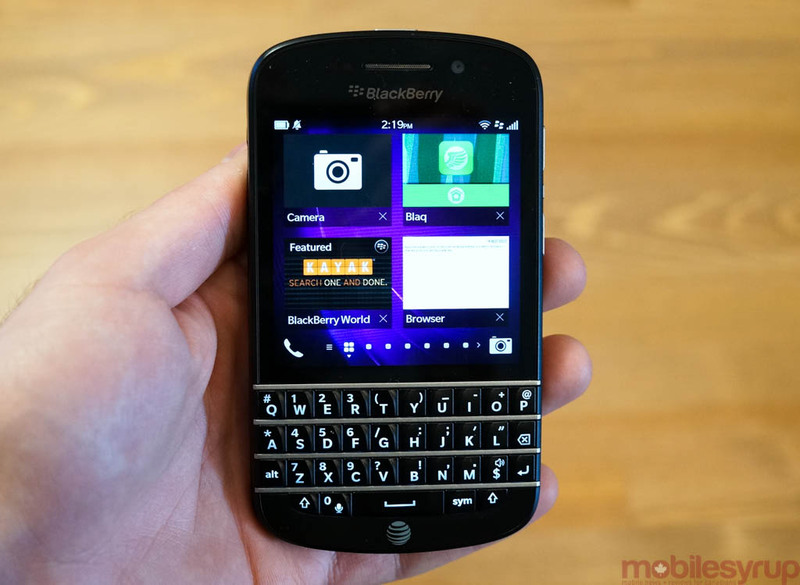 The BlackBerry Q10 is exactly the phone the company needs at this moment to continue on its chosen path. Whereas the Z10 felt like enough of a departure to alienate loyal customers, this QWERTY device is distinct, familiar and welcome. 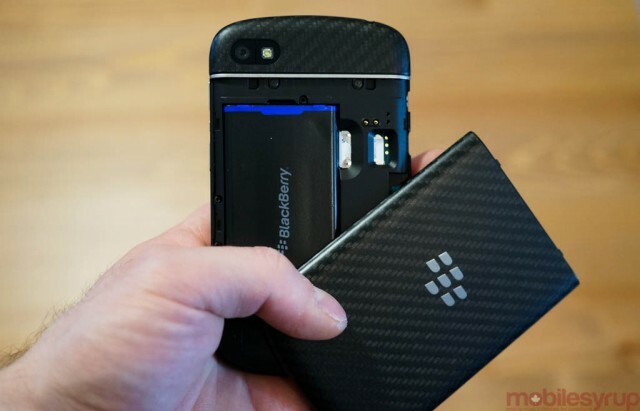 The big question coming into the second quarter of 2013 is whether that path, the one that markets BlackBerry 10 to regular consumers and business customers alike, is enough to keep the company solvent. Choosing a phone in mid-2013 is a difficult prospect, with each major operating system and vendor offering something rather enticing. 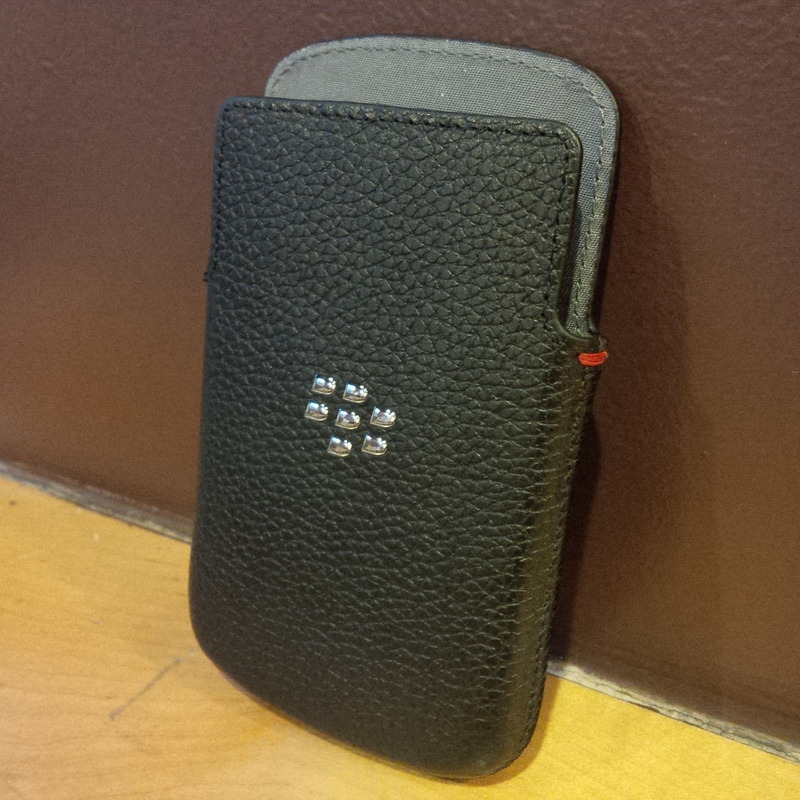 BlackBerry 10 is unique and powerful enough, even at this relatively early juncture, to offset the lack of third-party apps and, when paired with this phone, is good enough to placate the thousands of Canadians waiting anxiously for a QWERTY device. The BlackBerry Q10 is a great phone — the best BlackBerry ever, in fact — a fantastic communication tool and a decent smartphone. The issue is that I said the same thing about the Bold 9900 in 2011 and the Bold 9000 three years earlier. The trouble with recreating its former success is the tacit acknowledgement that BlackBerry will never quite be the same company. Four years ago, the Q10 may have been a contender for the best smartphone in the world; today, BlackBerry has to work four times as hard to prove there’s still a reason to go QWERTY.